mobile-friendly version of our mb personality test. 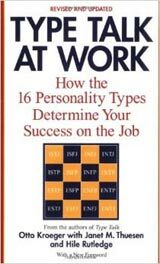 I've organized and reviewed here a number of books and booklets on the MBTI, Myers Briggs and Personality Type for those who would like to expand their understanding of the MBTI assessment, other assessments of Personality Type or explore some applications . . . plus I've also included some recommended resources for professionals who would like to apply these concepts to their work situation or their professional practices. Many of these print publications are also available in a digital or e-reader format for kindle's and other e-readers. Our links go into our Amazon bookstore where you can read more about the books/resource, see Amazon reader reviews, and if you desire . . . purchase the book or e-reader at Amazon's very best price (you pay no commission on a sale via PersonalityPathways). The 16 Personality Types, Descriptions for Self-Discovery. 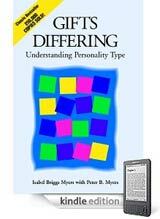 This is a good book for younger people to introduce them to the basic idea of personality type differences. Also tips for each type on getting along with other types. 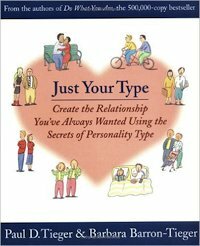 Just Your Type: Create the Relationship You've Always Wanted Using the Secrets of Personality Type . 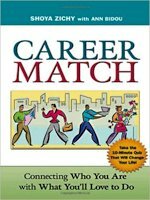 Paul and Barbara-Barron Tieger are well known for their books on career choice and communication (speed reading people). Here they turn their talents to helping people in romantic and committed relationships. Carolyn Lawrence used her understanding of Personality Types to develop a teaching method she calls "Learning Centers." These centers assist students in applying whatever is their unique learning style to the educational task at hand. Among some people the Myers-Briggs and Carl Jung personality models gathers a cult-like following . . . and tends to be discounted as pop-culture. In this book Professor Dario Nardi provides the scientific and neurological basis of the brain and mental processes that make up the MBTI model. Drawn from insights from his brain research lab and studies at UCLA, he explains in layperson terms the differences in how our brains work and how we can make best use of these differences. The 8 Colors of Fitness - Discover Your Color-Coded Fitness Personality and Create an Exercise Program You'll Never Quit! Suzanne Brue has created a program that customizes advice on exercise and fitness to Myers-Jung Personality Type. As in so many aspects of life, one size does not fit all; it is different strokes for different folks. 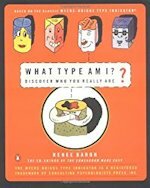 This book covers an introduction to Personality Types and has chapters on exercise and fitness for each of the 16 personality types. It is a book for people wanting to improve their own fitness routines and a book I highly recommend to all physical therapists and fitness coaches & trainers. For Professionals: Counselors, Coaches, Psychologists, Educators & those who want to administer the MBTI to clients and students. Ideas and Evidence: Critical Reflections on MBTI Theory and Practice . Rowan Bayne, Ph.D.
Book Description: "Author Rowan Bayne evaluates and explores theory and practice in the works of the MBTI instrument. Bayne delves into a variety of type-related topics and prompts readers to examine the research personality terminology and descriptors. Discover how Myers-Briggs MBTI theory relates to critical thinking and research skills. Bayne's challenges and insights will prompt MBTI professionals to stretch and examine their understanding of the indicator." 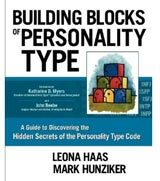 While there is a solid introductory section on the MBTI and the Myers-Briggs Personality Type model, Hunziker and Haas have written a book that will be best appreciated, due to its depth and breadth, by more serious students of Personality Type and by those who use Personality Type and the Myers-Briggs model in their professional practices. * While sometimes referred to as the Myers-Briggs Personality Test, the Briggs Myers personality test, Myers Briggs Test or the MBTI test, the MBTI ® is not a personality test but a personality inventory or instrument in which there are no right or wrong answers. Go Here for Workshops, Conferences & Other Resources for Coaches, Counselors and Organizational Development Practitioners interested in the MBTI, Myers-Briggs Applications, and psychological type. Go Here for a directory of Coaches, Counselors and Organizational Development Practitioners certified to use the MBTI, Myers-Briggs Applications, and psychological type. - Kindle eBook - . 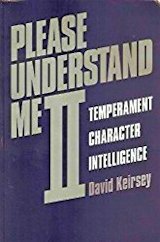 One major addition of Keirsey's second edition is "how the temperaments differ in the intelligent roles they are most likely to develop. Each of us, he says, has four kinds of intelligence -- tactical, logistical, diplomatic, strategic -- though one of the four interests us far more than the others, and thus gets far more practice than the rest."